The dry rhizome of perennial herbaceous plant Ligusticum chuanxiong Hort. of family Umbelliferae. Collected in summer when the nodal points on the stem protrude obviously in light purple. Strong fragrant, bitter and pungent taste, light numb and sweet. Big, firm with yellow and white cross section, heavy oily, dense fragrance. Sliced and unprocessed or processed with wine. Pungent, warm; liver and pericardium meridians entered. Activate blood circulation and move qi, expel wind and alleviate pain. Being pungent and warm with the actions of dispersing and smoothing, it can move qi and be widely indicated for various pain syndrome caused by blood stasis and qi stagnation. Because it can unblock blood vessels, regulate menstruation, disperse qi stagnation and relieve pain, it is commonly used for various gynecological diseases to move blood and regulate menstruation, treating irregular menstruation, amenorrhea, postpartum abdominal pain due to blood stasis and qi stagnation. This herb is indicated for different gynecological blood stasis syndromes through compatibility. It is combined with herbs that nourish blood, move blood and regulate menstruation in treating amenorrhea and dysmenorrhea caused by blood stasis. For it is combined with Tao Ren, Hong Hua and Dang Gui in Tao Hong Si Wu Tang from Yi Zong Jin Jian. For irregular menstruation and dysmenorrhea due to stagnation and stasis resulted from deficiency cold of thoroughfare and conception vessels, it is usually combined with meridian-warming and cold-expelling herbs and blood nourishing and activating herbs. For instance, it is combined with Wu Zhu Yu, Gui Zhi, Dang Gui, etc. in Wen Jing Tang from Jin Kui Yao Lue. For postpartum lochia retention and abdominal pain due to stasis, it is usually combined with blood-nourishing and stasis-eliminating herbs and meridian-warming and pain-relieving herbs. For instance it is combined with Tao Ren, Dang Gui and Pao Jiang in Sheng Hua Tang from Fu Qing Zhu Nv Ke (Fu Qingzhu's Gynecology). 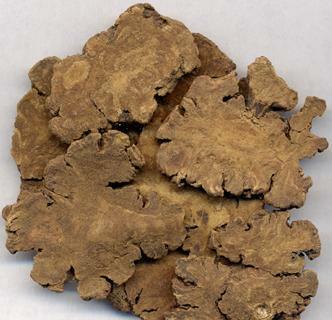 This herb has the actions of resolving stasis, soothing liver stagnation and relieving pain and is commonly indicated for liver qi stagnation and blood stasis leading to pain of chest and hypochondria, stasis of heart vessel, angina pectoris, mass, traumatic injuries and swelling pain due to stasis and so on. For pain of chest and hypochondria caused by unsmooth blood circulation that is resulted from liver depression and qi stagnation, it is usually combined with liver-soothing and stagnation-removing herbs. For instance it is combined with Chai Hu, Bai Shao and Xiang Fu in Chai Hu Shu Gan San from Jing Yue Quan Shu. For liver blood stasis, abdominal mass and stuffy lump and stabbing pain of chest and hypochondria, it is combined with blood-activating, stasis-resolving and mass-eliminating herbs. For instance it is combined with Tao Ren and Hong Hua in Xue Fu Zhu Yu Tang from Yi Lin Gai Cuo. Additionally it is indicated for traumatic injuries, sores, abscess, carbuncle and swellings after combinations. Being pungent and warm with ascending and dispersing characteristics, it can reach head and eyes with the actions of expelling wind and relieving pain. 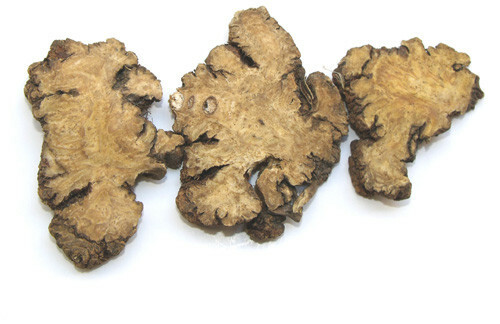 Chuan Xiong is known as the key herb for treating headache. It can be used singly or macerated in the wine, or modify due to different syndromes for treating headache resulted from wind-cold, wind-heat, wind-damp, blood deficiency and blood stasis. There's a saying that treating headache could not be done without Chuan Xiong. This herb also treats wind-cold-damp arthralgia and pain of body and joints since it expels wind and relieves pain. It is usually combined with wind-damp removing and collateral opening herbs such as Du Huo, Wei Ling Xian and Fang Feng. It should be used with cautions for yin deficiency with effulgent fire because of its warm and dry properties, and be prohibited for pregnant women.